Important: Great news! After several years we are in the middle of re-launching the rental division and adding significantly to its capabilities. It will take us several weeks until the division is fully operational, however, please do not hesitate to reach out to us in the meantime with any rental requests you may have. We can be reached at rentals@theshopcompany.com. 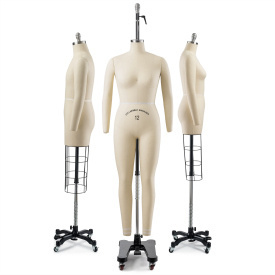 Whether you are organizing a trade show / exhibition, are an exhibitor, setting up a photo shoot, fashion show or any other event and are looking for higher quality mannequins and clothing racks, The Shop Company's rental division is here to help. Setting up these events is a very painstaking process and we seek to simply it (and your budget) by providing high quality rentals at great prices and with even better service. Why aggravate when you can simplify? 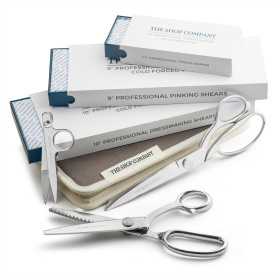 Beautiful Products - we take care in the look and feel of our products because, after all, they are meant to help you sell your products. New / Like New Condition - unlike other rental agencies which use the same products over and over for again for rentals their rentals - causing them to look used and marked up, we only allow our mannequins and clothing racks to be used a few times before we replace them with brand new models. We do not let a rental leave our warehouse looking damaged. You worked so hard to beautify your exhibit or event that you deserve beautiful rentals. Competitive Pricing - as we work off of volume, we can afford to keep our rental prices very low. We are often the lowest priced rental agency out there with our level of quality and commitment. On Time Every Time - you give us your window of when you need the mannequins and racks dropped off and picked up and we will be there. We are so committed to being on time and prepared for our rental events, that we often have to overnight packages through FedEx if there are complications. 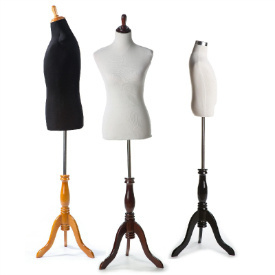 Due to the volume of mannequins and racks we sell and stock, our mannequin and rack rental pricing is of the most competitive in the market. As we have numerous products available for rent which are at very different price points, we suggest that you contact us by phone (732 719-5044) or email ( contact@theshopcompany.com ) for exact quotes and availability. Below are an idea of our competitive pricing range and requirements. There is a 10 piece minimum rental quantity. The delivery charge within the New York City Area is $195 for each direction. For any other city please contact us. The delivery and pick up times must allow for a 4-5 hour window. For assembly or pack up rates please contact us.